For the 10th consecutive year, Mladí Ladí Jazz International Festival will be making rounds with a fresh breeze of musicians and formations bravely opening the frontiers of jazz music to whole new array of genres. 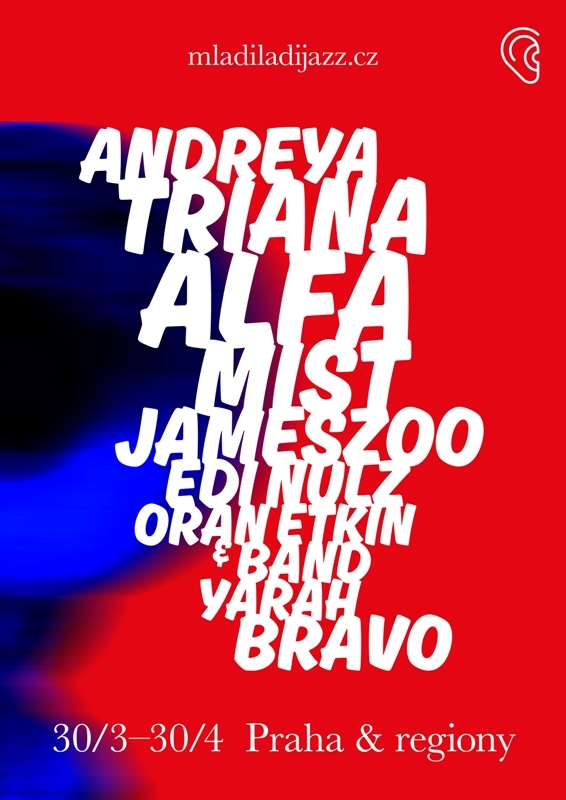 The festival will kick off on the 30th of March in Archa Theatre with a performance of the phenomenal Andreya Triana - a charming vocalist, presenting her new album ("Life in Colour") in Prague for the very first time. This year's revelatory line-up also includes names such Alfa Mist - a renowned British multi-instrumentalist and producer mixing jazz and alternative hip-hop & soul, or Jameszoo - the utterly unorthodox producer, songwriter, composer & conductor from Holland. Throughout April, Prague will witness the vivid jazz fusions of jazz punks Edi Nulz and performances by the Latin American singer Yarah Bravo and the Grammy-awarded Oran Etkin, who will be performing along side a number of Czech musicians. Apart from the capital city, the festival will also visit selected regions. Information source: www.mladiladijazz.cz | SMART Communication s.r.o.